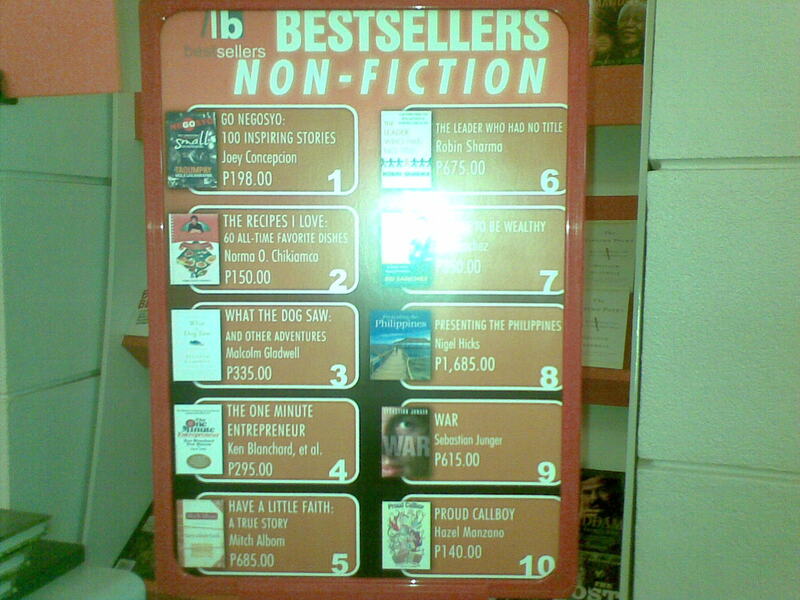 Callwork: Proud Callboy is National Bookstore's Best-selling! 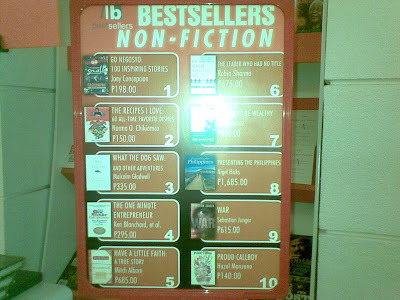 Proud Callboy is National Bookstore's Best-selling! After the book launching of Proud Callboy last April 17, Summer Komikon, it is now one of the best seller for National Bookstore's non-fiction category for the month of May (no.10 sumabit). I was overwhelmed when I saw it together with my favorite authors like Malcolm Gladwell, The One Minute guys, Mitch Albom, and GoNegosyo! Thank you dear readers. This is really for you guys. Yung mga hindi pa nakakabili, tumakbo na sa National Bookstores. Already available nationwide. Cebu and Bohol sa Sabado pa magiging avail pero pwede na magpareserve.